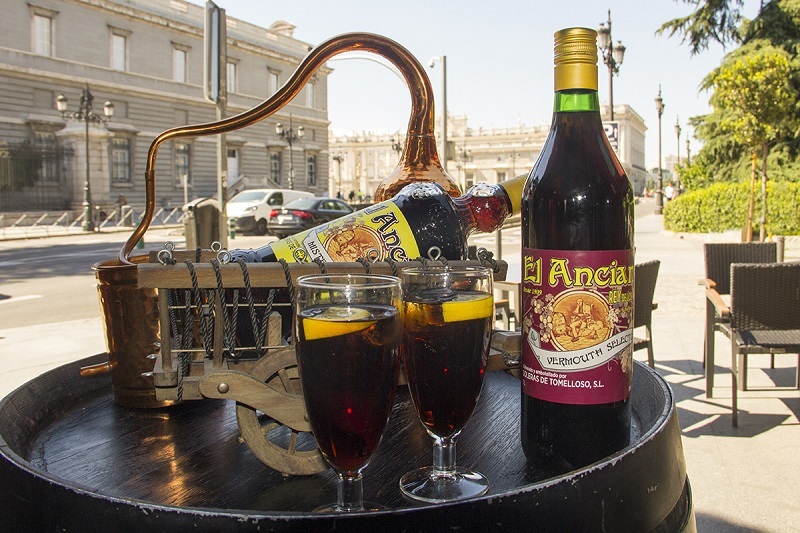 One of the best known terraces in Madrid is that of El Anciano Rey de los Vinos. But today it is very normal that with the arrival of the good weather any place installs tables and chairs on the sidewalk. This is already part of the image of Madrid, but how was this custom born? The exact place where everything began is very close to the Puerta del Sol, specifically in the Passage of Matheu, which joins Expoz and Mina Street with Victoria Street. This was where the locals could for the first time take their aperitifs outdoors since it was a very busy area that was full of bars where many people came every day. At that point was the convent of the Miners of Victoria. When it was overthrown, the wealthy Madrid trader named Manuel Matheu built a boulevard in the style of those of Paris, and housed the first commercial gallery of Madrid. He called him “Equity and Bazaar of the Villa of Madrid”. But the gallery, very avant-garde at the architectural level, was covered by an iron and crystal structure. Back in 1870, two premises were purchased by French merchants and, to take advantage of the good weather, installed the first two terraces at the entrance of the grounds, thus importing a typically French custom. A curiosity is that while one of the owners was a monarchist and he baptized his premises as “Café de Paris”, the other was Republican and called his “Café de Francia”. In this way the custom of the terraces was gradually extending throughout the capital. And shortly to the one of El Anciano Rey de los Vinos was born, and now it is famous in Madrid because of its unmatched views and the gastronomy that you can enjoy here.